Today I am grateful for exciting professional opportunities. I am passionate about my work and believe in the resilience of children, which allows me to expand my knowledge and teach others about caring for children during times of crisis. 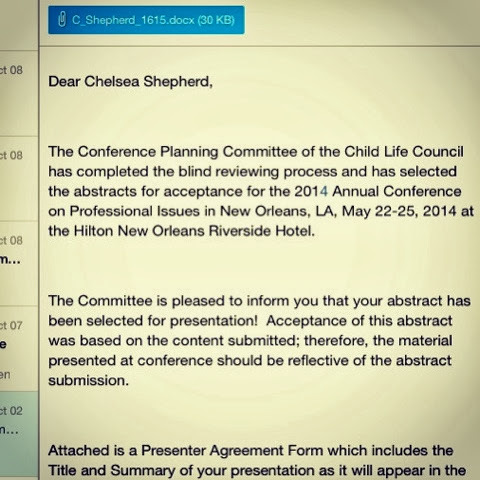 I was thrilled to learn that my abstract has been accepted to present at the national child life conference in May! New Orleans here I come!! !